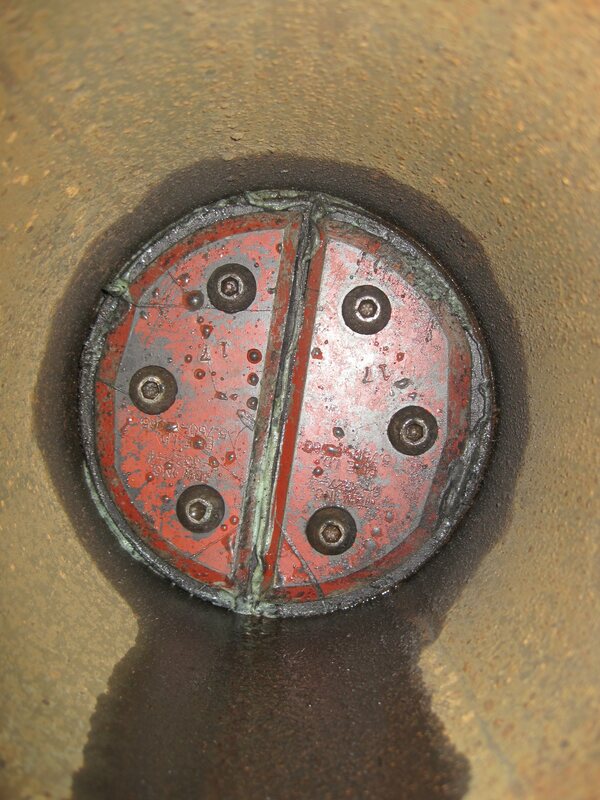 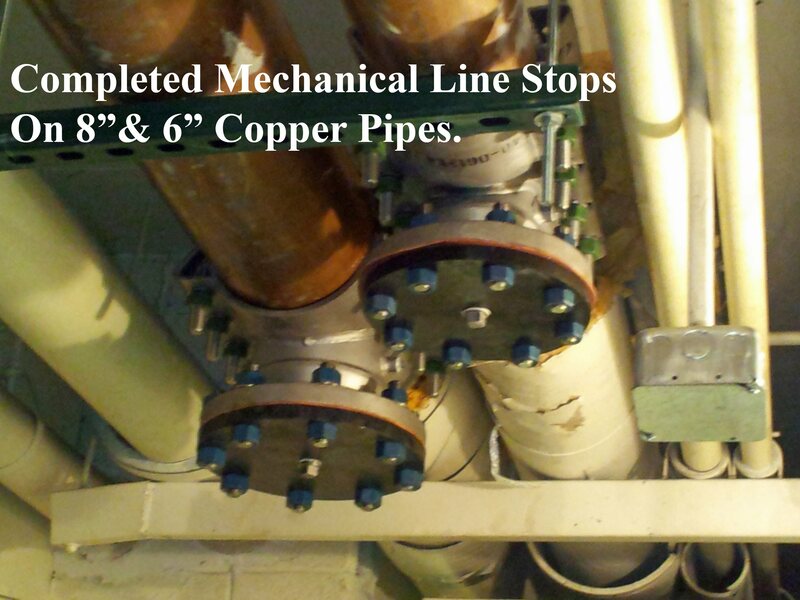 Our Mechanical Line Stopping Services achieve temporary mechanical pipe plugs on pressurized piping systems. 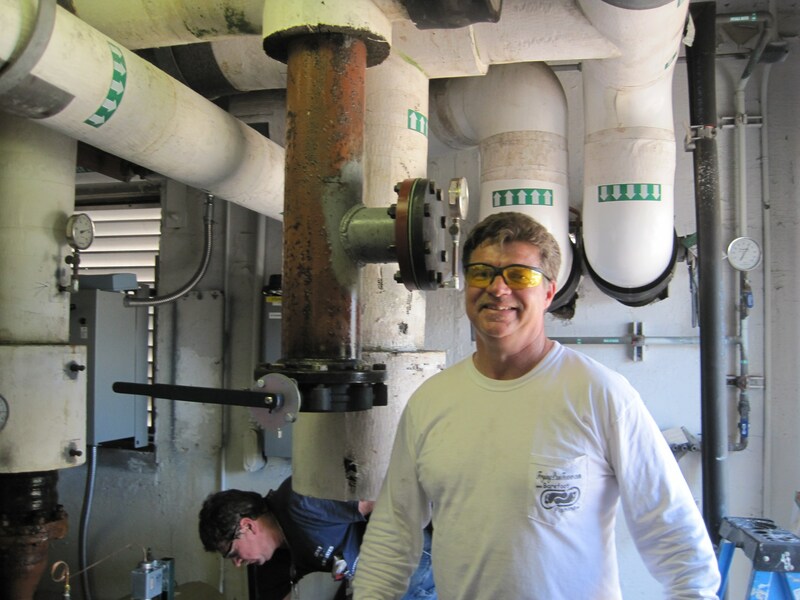 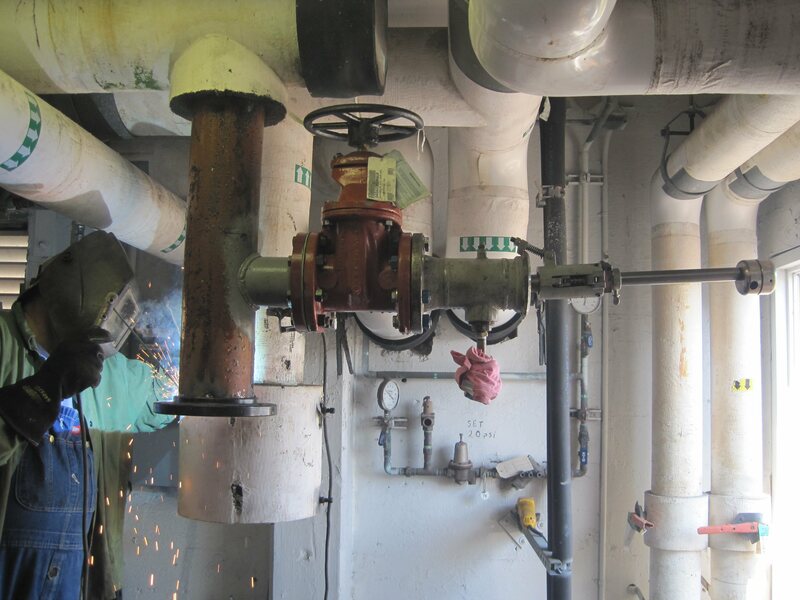 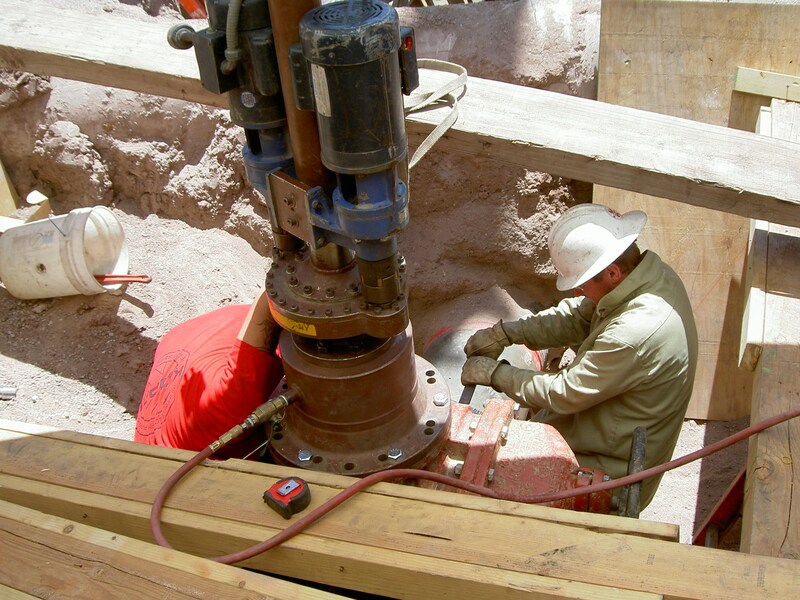 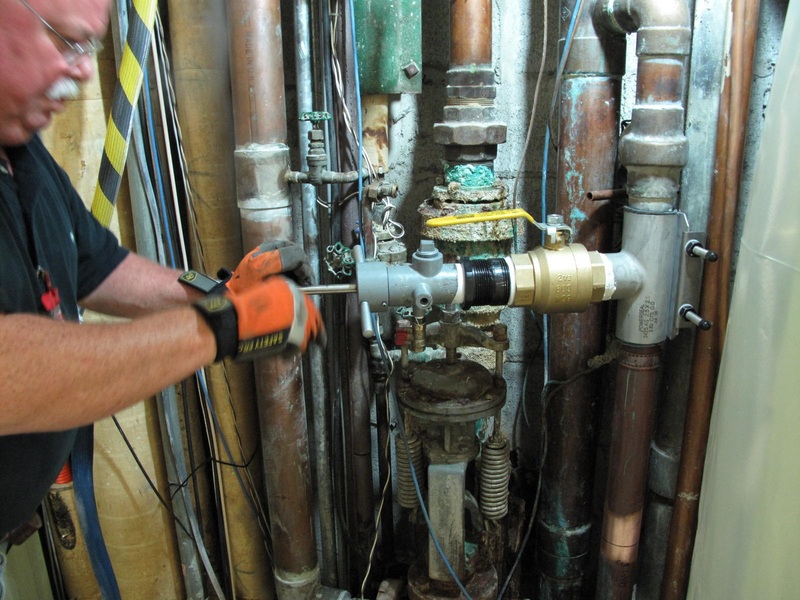 Utilizing our Special Pipe Plugging Machines, isolation plugs can be achieved to allow our customers to perform piping repairs, blocked valve additions, piping demolition, alterations or relocations. 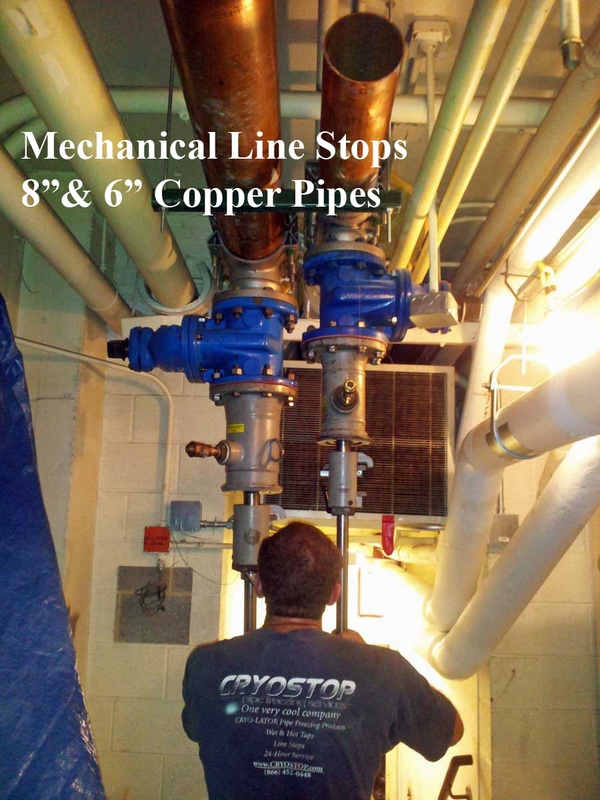 Our Mechanical Line Stop Procedure can also be configured with bypass piping around the plugged section of pipe allowing for uninterrupted product/system operations. 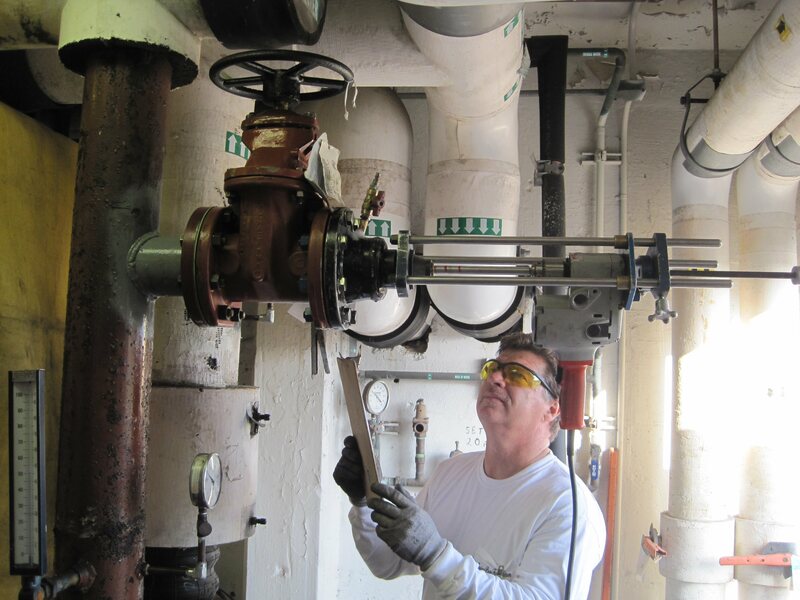 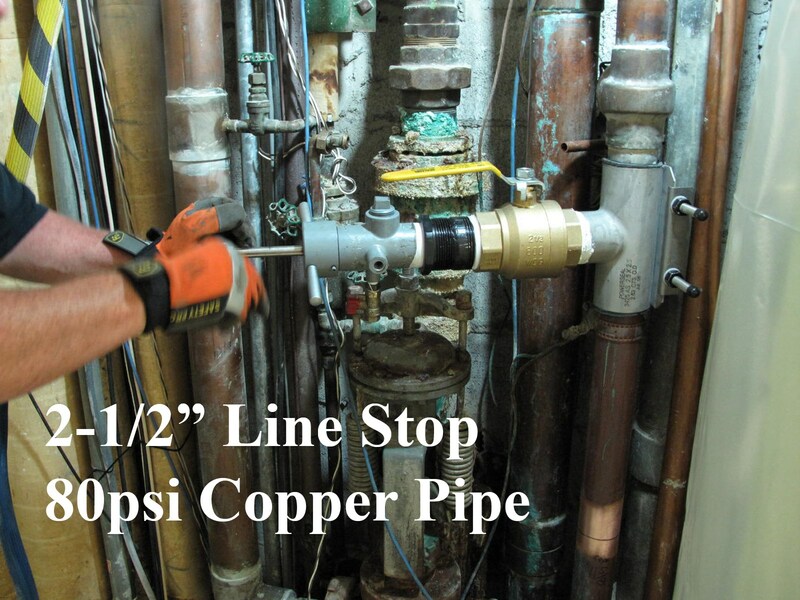 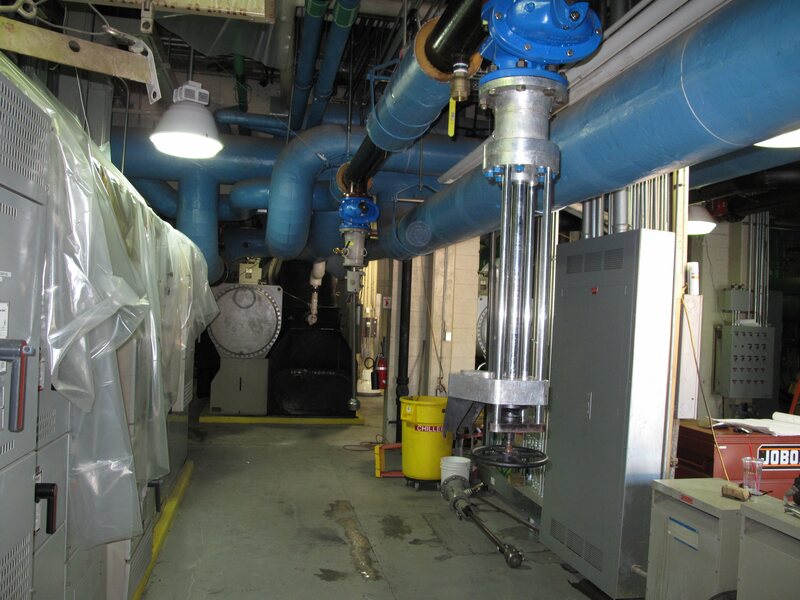 With our add a valve procedure a defective valve may be replaced or a new ball valve may be installed on a pressurized ½" to 2" copper piping system. 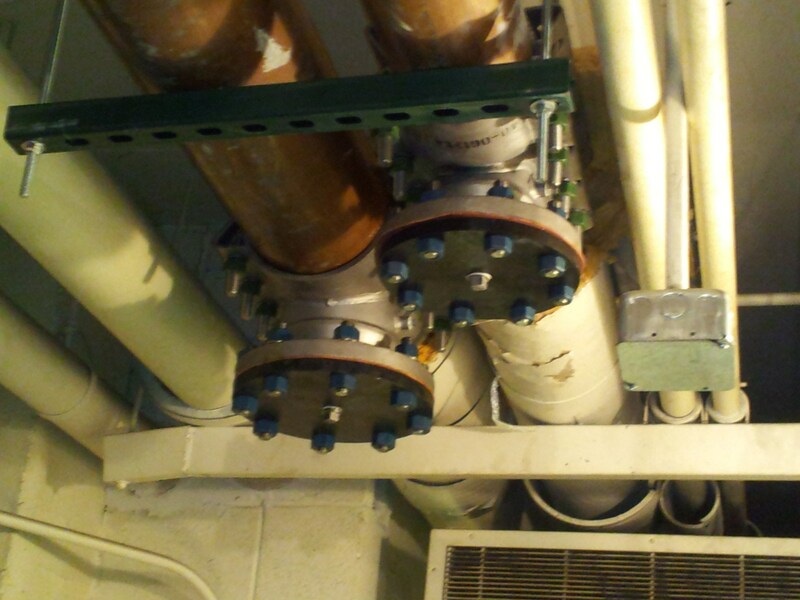 This unique technique can be performed on hot (220˚F) or cold water, including hot or chilled H2O Glycol Solutions, under pressure from 0 to 250# without shutting off the water. 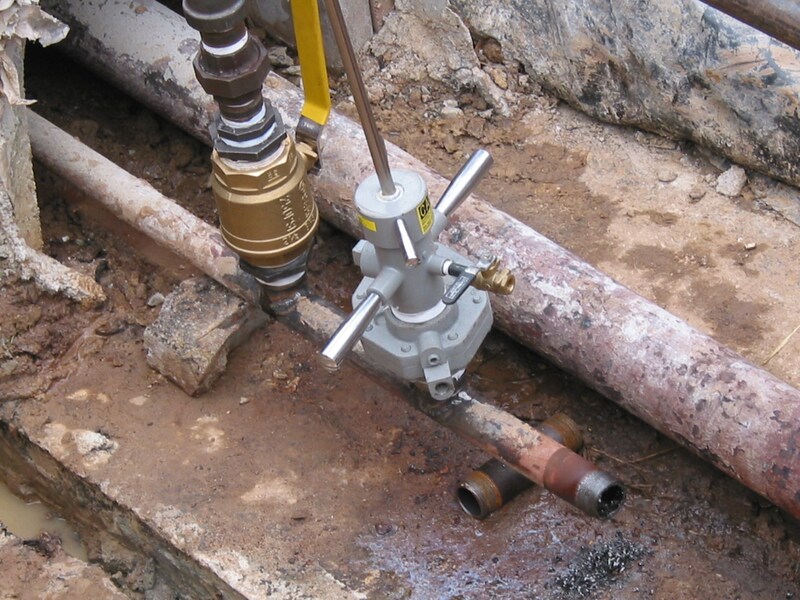 Add a valve procedure is considered an emergency temporary shut off devise used to make permanent repairs to a defective component or add a new permanent block valve. 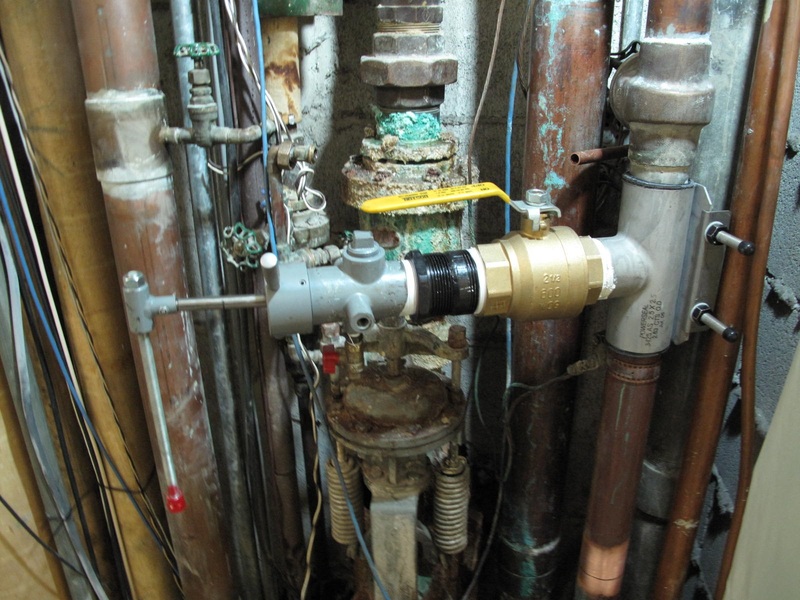 It should not be used as a primary system block valve. 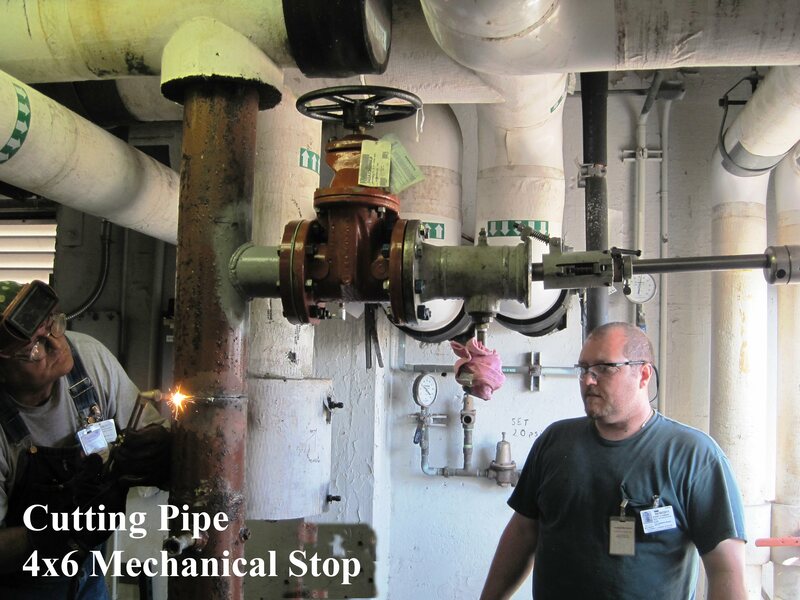 Pumps must be shut off prior to the add a valve installation.